This is the second installment of a two-part story. Last week, singer-songwriter and mental health advocate Meg Hutchinson explored her experiences with bipolar 1 disorder; her symptoms, hospitalizations and her struggle. Follow this link to read part one. Read on for part two of Meg’s journey of recovery. I was in and out of the hospital three times that summer. The first and third times I checked myself in and the middle time, following the pond episode, my sister Tess had me committed. I will always see that as the most loving thing she’s ever done for me. I quickly realized that I needed to be kept safe. 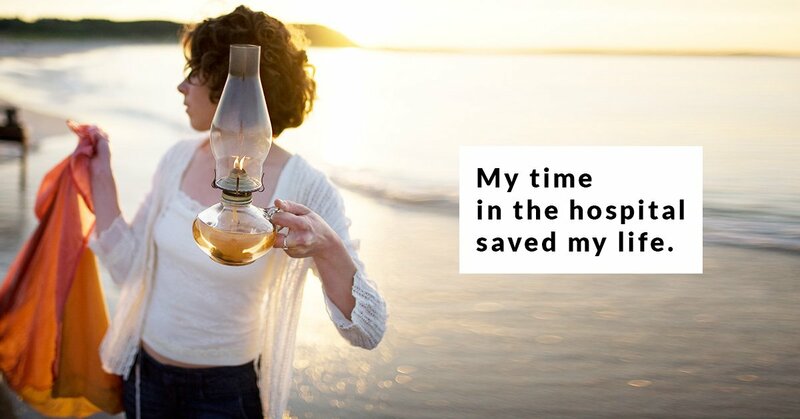 My time in the hospital saved my life but it was not a comfortable experience. It was very difficult for me to try to reorient my brain without anything familiar around me. It was a small-town hospital with limited resources. It was incredibly comforting when someone took the time to just have an ordinary conversation with me. One nurse discovered how much I loved Ireland. He had written a book about his travels there. He always smiled this wonderful mischievous smile that made me feel like I was a friend instead of a patient. There was another volunteer who led a weekly sing-a-long. He loaned me an extra guitar. The most healing experience I had while I was inpatient was the night that “Waterfall”visited. Waterfall was a volunteer yoga/meditation instructor. She led us through a gentle session of seated yoga with breathing exercises. That night I was able to sleep for four hours—more than any other night during the twenty-one days I was hospitalized. In the midst of my terror and suffering that summer I became aware of something extraordinary. I became aware of a “witness” consciousness that was able to observe my malfunctioning brain. The more my brain deteriorated the more aware I became of the part of my mind that was able to observe my illness. This consciousness was able to move my brain toward reorientation and integration. Every few hours while I was hospitalized we were allowed “courtyard breaks.” These breaks consisted of fifteen minute sessions in a fully enclosed outdoor cement yard with benches where many of my fellow inpatients would sit and smoke. There was one basketball and a hoop. I spent the majority of the time working with the ball and trying to make sense of my strangely numb body. When I tried to pass the ball from my right hand to my left I had no idea where my left hand was. The ball would go bouncing off to the farthest wall of the courtyard and I would repeatedly chase after it. Trying to make a basket was even more absurd. I had no spatial sense and the ball would often miss the net by a huge margin. Yet I persevered because this effort in concentration and coordination resulted in momentary islands of clarity. In these brief reprieves my thinking became more fluent. Practicing this repeated movement of the ball from right to left hand was doing something significant to my brain. The impulse to reorient my brain did not seem to be coming from the brain itself. The overwhelming message from my brain was a deafening emergency alarm. There was a shrill and constant alert system in my brain saying “abort abort abort!” The message from the brain was acutely suicidal: “YOU NEED TO DIE to end this confusion and suffering!” This emergency message was so primal and so loud that it was similar to starvation or dying of thirst. It was a primitive, biological impulse that I had never realized was possible. Yet, despite this desperation to die, the witness consciousness was fighting valiantly for life. The witness mind would not give up this movement toward reintegration. It was pushing me toward any activity that would untangle the knots in my brain. These activities included walking up and down the hospital corridor trying to count my laps. I had to remember down the length of the short corridor that I was on lap ten, then lap eleven and twelve. The effort to concentrate during the length of that short corridor was nearly impossible but my mind seemed intent on this practice. After my final hospitalization I completed a day program for several more weeks. 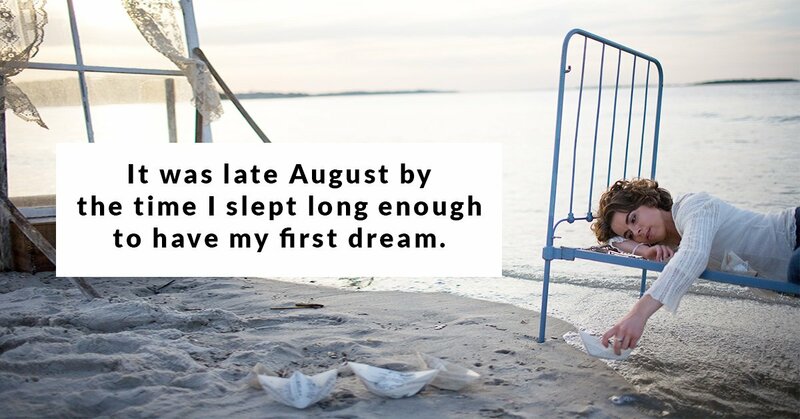 Although I was diligent about taking medication it took almost two months to find something that would help me sleep. It’s hard to describe how terrifying the brain can feel after weeks and weeks of sleep deprivation. It was like living in a war zone, constantly in a state of intense anxiety. It’s been exactly ten years since my breakdown. These years have been hard work but they have brought tremendous joy and peace. I’ve been diligent about treatment and medication. I’ve been in therapy for ten years and I’ve made big lifestyle changes. At one point a therapist even teased me for being a “straight A patient” because I kept a notebook in which I charted my mood, my medications, my sleep, and a basic summary of each day. To this day I find it helpful to make notes in my calendar if I’m making a medication adjustment or noticing changes in mood and brain function. I also see a nutritionist who’s helped me understand what a vital role our diet and gastrointestinal health play in managing these brain illnesses. In addition to medication I still take high quality fish oil, probiotics, a food-based multivitamin and extra vitamin D3. When you go through something so hard you learn what you’re made of. Experiencing a “dark night of the soul” gave me a deeper compassion for other people’s suffering, though it took many years for me to come to terms with my own shame. The year after my breakdown I signed a record deal and played 137 gigs. I was determined to be stronger and more ambitious than ever to prove that mental illness couldn’t stop me. That attitude was dangerous for me. I pushed myself so hard. In those early years of recovery I was still trying to live my old lifestyle. I was still drinking too much with my friends and agreeing to arduous tour schedules. I remember quite a few nights lying in hotel rooms, jet-lagged and exhausted, feeling like my brain was so ragged––so breakable still. The turning point in my recovery came in 2009 when I met a Tibetan Buddhist Lama (spiritual teacher) and began to study at his meditation center. 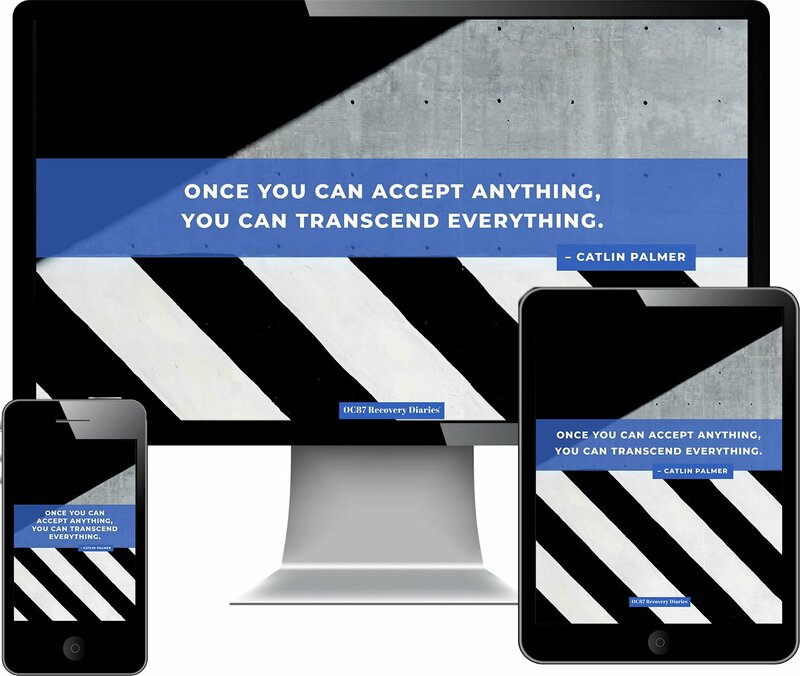 Within a year of attending his meditation classes I began to notice substantial changes in my life. My sleep became more restorative. My attention increased. My sense of well-being improved. 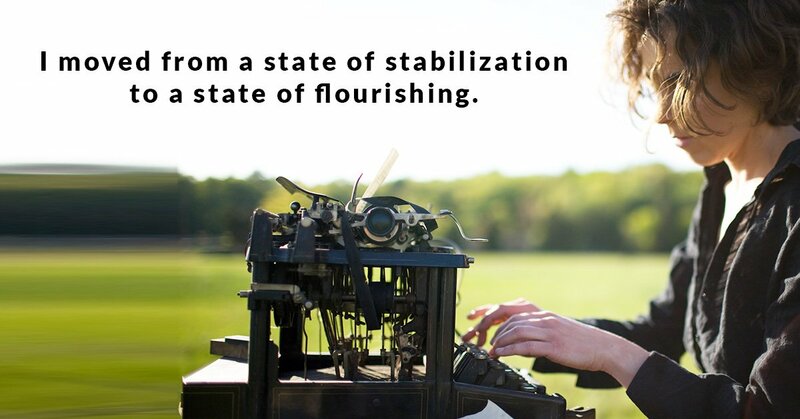 I moved from a state of stabilization to a state of flourishing. It was the first time in my life that I gave myself permission to slow down, to stop trying to be perfect, to truly take care of myself. Medication had been stabilizing my brain for three years, and it does to this day, but meditation began to actually heal me. I started a yoga practice and began to get at the roots of some of my trauma from that summer. I stopped drinking. I felt allergic to alcohol. The more I meditated and practiced yoga the more I was able to reduce my medications with my psychiatrist’s supervision––going off of two medications and remaining on the lowest therapeutic dose of the third. Meditation practice strengthened that “witness mind” that I had first experienced in the hospital. Neuroscience is now proving that meditation has tremendous power to change the structure and function of the brain. I have felt these changes in my own life. These seven years that I’ve studied with my teacher have been some of the most peaceful and fulfilling years of my life. I feel healed but I don’t feel cured. 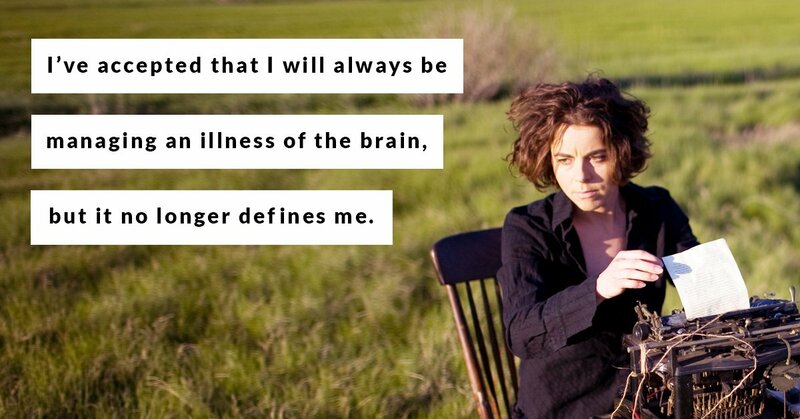 What I mean is that I’ve accepted that I will always be managing an illness of the brain, but it no longer defines me. I feel that, through meditation and yoga and therapy, I’ve been able to really look at the roots of the illness and to develop a sense of inner freedom and stability. There are still low periods and there are still times of exuberance, but I have a strong and healthy mind that is helping me manage an illness of the brain. Music has been one of my greatest companions throughout this nineteen-year journey. The songs have known me before I knew myself. The songs have given me courage on days when I had nothing left. They have helped me turn this pain and suffering into something I can use. The songs have helped me become a mental health advocate and have given me a vehicle through which I can process and transform my experience. Songwriting allows me to create a beautiful mosaic out of the broken pieces of my life. I’m not sure I would have made it through without the singing. I’ve found that being open about my illness has brought me so much closer to the people in my life. What I’ve learned in these ten years is that almost no life goes untouched in some way by mental illness. Almost everyone I speak with knows a friend or relative who has struggled and yet, most of the time, it’s still not talked about. Each individual story that gets shared helps to change the way we view these illnesses, and these people. These are illnesses of the brain; they’re not something we should blame ourselves for. These illnesses are treatable and, if we can get rid of the shame and the discrimination, we can save so many lives. I wrote this song “Seeing Stars” when I first returned to Boston after my breakdown. I was walking down by my favorite reservoir with my dog. The lake was so beautiful with the moon rising over it. I felt so grateful to be alive. But me, yeah me, I’m only seeing stars. Schizophrenia Symptoms in Relationships - I’ve struggled with so many different complications, nuances, symptoms, side-effects and annoyances.